Scammers are trying to trick Apple's existing MobileMe subscribers into providing credit card information, purportedly to migrate to the new iCloud service, in a new spam campaign that echoes previous attempts. The email asks MobileMe members to "Please sign up for iCloud and click the submit botton [sic], you'll be able to keep your old email address and move your mail, contacts, calendars, and bookmarks to the new service. "Your subscription will be automatically extended through July 31, 2012, at no additional charge. 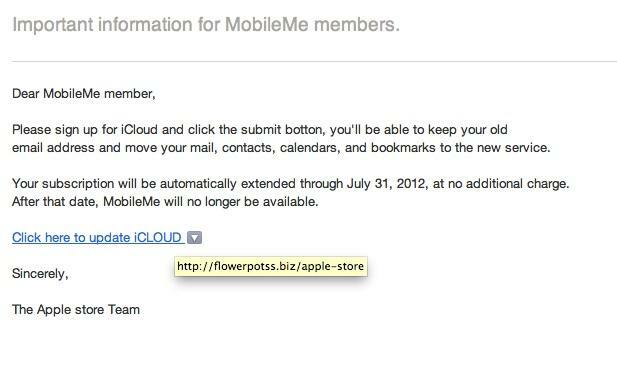 After that date, MobileMe will no longer be available." 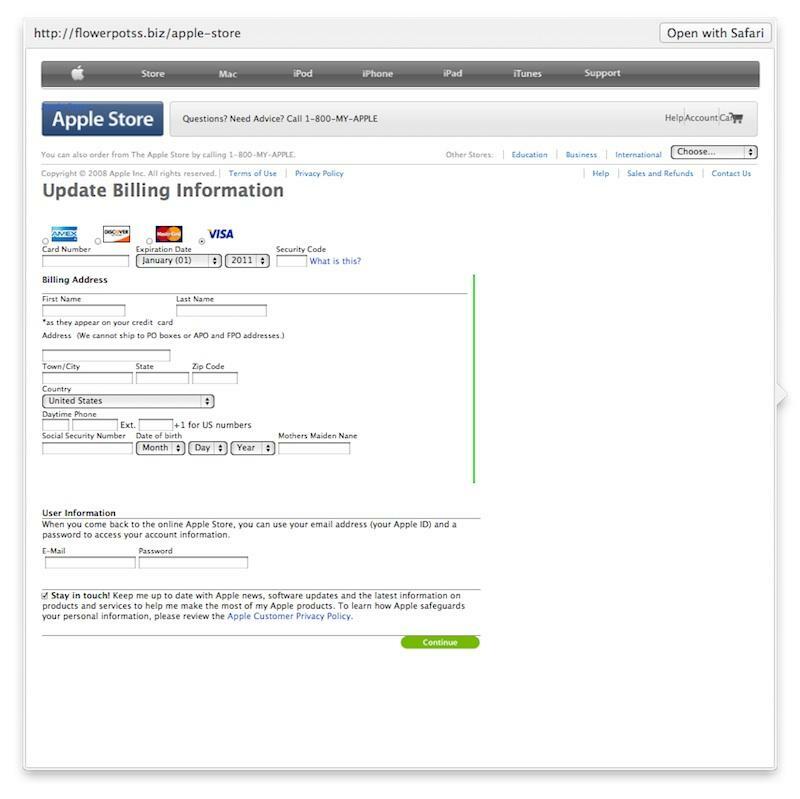 The email provides a link inviting users to "click here to update iCLOUD," but the link actually directs to "flowerpotss.biz," where a phony page asks users to supply their credit card information rather than perform a "no charge" sign up. Apple has indicated that existing MobileMe users will be able to upgrade, once the service becomes publicly available, after simply logging into their existing account. Users should never supply their account information or credit card details in response to an email. It's always safer to navigate to online services directly or using a bookmark. Apple never requests users to click a link to enter or "verify" their credit card information.